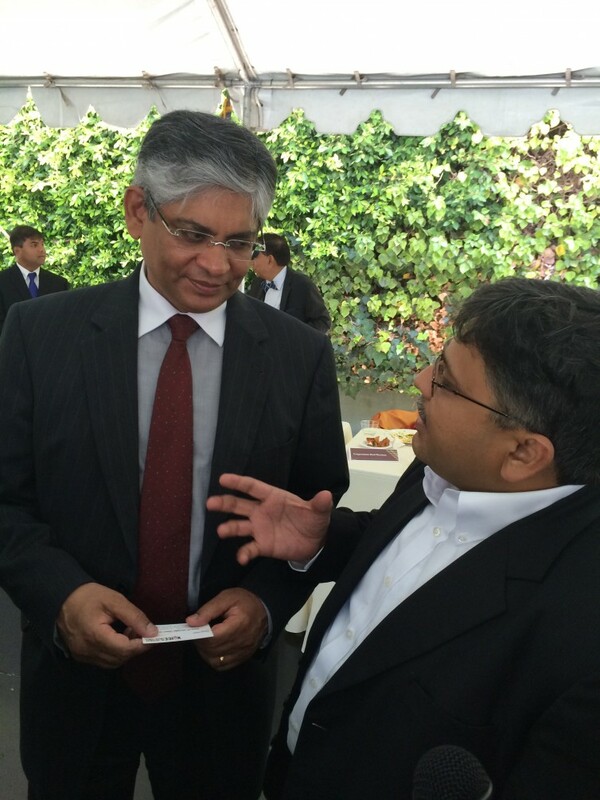 Voice of SAP shared its Vision with Shri Arun Kumar Singh, Indian Ambassador to the US during lunch meeting hosted in Los Angeles at Shri Vardhan ji’s residence. Founder, Pranav Desai shared the Vision as how India can take global leadership and serve humanity by focusing on “Make In India” opportunities in the “Assistive Technology industry” by working with the US based manufacturers. Currently there are thousands of products for People with Disabilities in the US and by having proper incentives, policy to attract mid and small scale US businesses/manufacturers in this sector, India can become Global hub for manufacturing these products and provide these enabling AT products at much lower cost to its domestic population as well export to 1 BN+ global SAP population. Indian Embassy in the US can play a pivotal role in channelizing and expediting – thought leadership for social transformation in India by promoting bilateral discussions at highest levels to understand how the US overcame similar challenges related to needs of People with Disability before 30-40 years and adopt the best practices as it fits to our own culture, society and environment. We appreciate the interest taken by the Ambassador and his positive views for the possibilities on bilateral trade on AT products etc. Voice of SAP team will continue its advocacy efforts with the US Embassy to drive Vision to Reality, similar to our efforts with Govt of India on “Accessible India Campaign“, which we started in July 2014. Good effort. Would like to know more about AT products. Have to popularize these so that the needy will have enough reason and motivation to opt for them.